See various events scheduled by Oregon city locations. 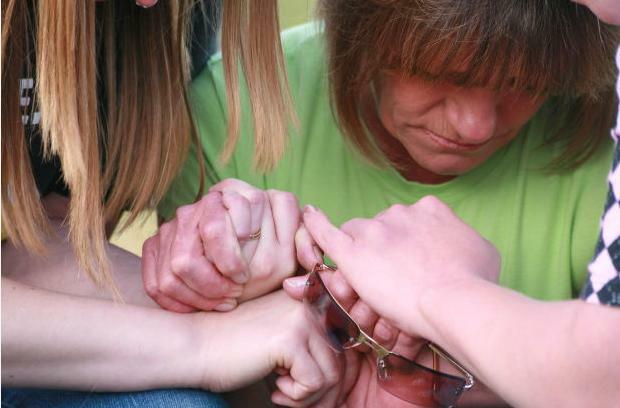 Worship and Prayer. A live worship team and 7 area pastors and community leaders leading prayer for the 7 spheres of our society. Balloons for the children. Rain or shine. Outdoors on the front steps of the courthouse building. NW Pastor: Say "No" to ministry? ENUMCLAW, Wash.– The Rev. Dr. Eugene Blair is concerned about people who end up in full-time Christian ministry only to discover that they’re in the wrong vocation. After their long, expensive road to seminary, ordination, and consecration, these ministers are miserable — not to mention the plight of those under their ministry. Dr. Blair has held a number of ministry leadership positions, including missionary service in Kenya, East Africa. Currently he is the Flint District Superintendent of the United Methodist Church’s Detroit Conference. 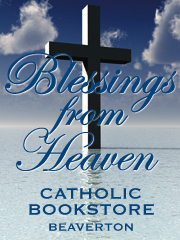 He is also author or contributing author of several books. 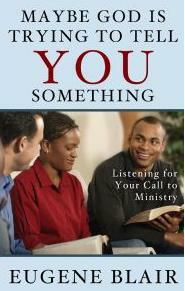 He has written “Maybe God Is Trying to Tell You Something: Listening for Your Call to Ministry” to help people think through their decisions sooner, rather than later. He wants them be certain that they have heard God’s voice, and he helps readers take inventory of their gifts, skills, and the stamina required to be pastors. Then, if they determine they have not been called, Dr. Blair encourages them to pursue different vocations with peace and confidence. 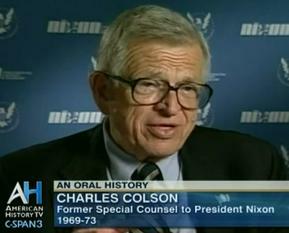 Here is a video tribute that shows insightful interviews and images of Chuck Colson’s ministry. In a segment entitled “Christians in the Holy Land,” that aired on Sunday, April 22, CBS’s “60 Minutes” focused on the plight of Palestinian Christians in Bethlehem and Jerusalem. Correspondent Bob Simon declared that the “exodus of Christians from the Holy Land,” could eventually leave it “without a Christian population.” Although facts show that the oppression, persecution, and killing of these Christians for their faith is part of the pattern of persecution experienced by Christians elsewhere in the Islamic world, “60 Minutes” ignored Islamic violence against Christians and laid blame for the Christian migration squarely at the feet of Israel, the only country in the Middle East where Christians actually have religious freedom. On April 18th, Holt adoptee Annie Clark received the Nicholas Maxim Special Award for Excellent Penmanship — one of two awards the Zaner-Bloser language arts and reading company offers for students who have disabilities. 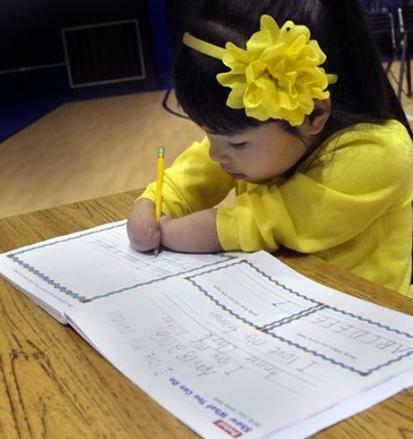 Born without hands, Annie has learned to write with a pencil wedged between her arms. As the Pittsburgh Post-Gazette reports, Annie’s parents — Tom and Mary Ellen Clark — says this is also how their 7-year-old daughter feeds and dresses herself, cuts with scissors and even paints her toenails. 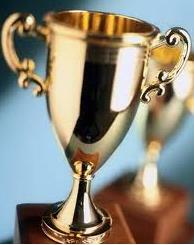 Below are two announcements of local Oregon schools winning top honors. The fifth annual Oregon Battle of the Books was held April 14 at Chemetka Community College; Oregon Episcopal School took home first prize. Though Jonathan Swift originated the term in the eighteenth century, nowadays a battle of the books has more to do with TV game shows than with satire. To compete, students in elementary and middle school grades must read sixteen books, which are chosen pre-competition. High schoolers only have to read twelve books. The children then form into five-person teams and compete against each other in a quiz-show format. For more, read here. On March 31st, the Luis Palau Association (based in Beaverton) joined with local churches and sponsor, Haiti Broilers to host an evangelistic outreach in Port-au-Prince. Music and freestyle motocross demonstrations delighted Haitians in the record crowd of 35,000. “The first stop was a concrete plaza surrounded by cells. 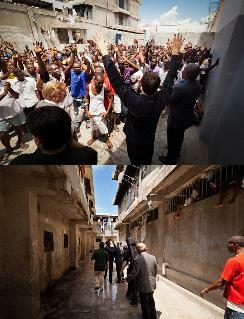 As Dave Lubben led a worship song in Creole, the prisoners joined in. Andrew shared that who the Son sets free is free indeed, and prayed a salvation prayer with those who responded. The doors opened and the square filled with prisoners lining up to receive the hygiene kits we brought.